The HP Elitebook 755 G5 is the latest offering from its Elitebook 700-series of business laptops with top-of-the-line performance and security features. Compared to its predecessor, the HP Elitebook 755 G4, the 15-inch Elitebook 755 G5 comes with improved design; slimmer and more lightweight. HP also retains the AMD processor and Radeon graphics card it used on its prequel, making the device a worthy alternative to other powerful business laptops like the Lenovo’s ThinkPad A285. The HP Elitebook 755 G5 is more solidly built than its predecessor. With a sturdy metal lid and bottom chassis, it’s amazing how it manages to stay lightweight at 1.78kg (about 1.98kg for touchscreen version) when the HP 650 G4 with plastic build, for example, weighs over 2 kilograms. NOTE: weight could vary according to storage configuration. If you intend to use this AMD-powered notebook for work, it’s got all the connection ports you’d need: USB 3.0 Type-A, USB 3.1 Type-C, Gigabit LAN port, docking port, and smart card reader. There’s even a SIM card slot. The absence of a micro SD card slot is however disappointing. The Elitebook 755 G5’s keyboard is decent for a comfortable typing experience. The keys are backlit and there is a rubber TrackPoint in between the G, H, and B keys. HP did well to add some dedicated keys to the keyboard; there are keys for making calls, the Fn key turns on/off the keyboard back light etc. The top lid houses the 15.6-inch display which comes with a FHD (1,920 x 1,080 pixels) resolution and >400 cd/m² brightness. 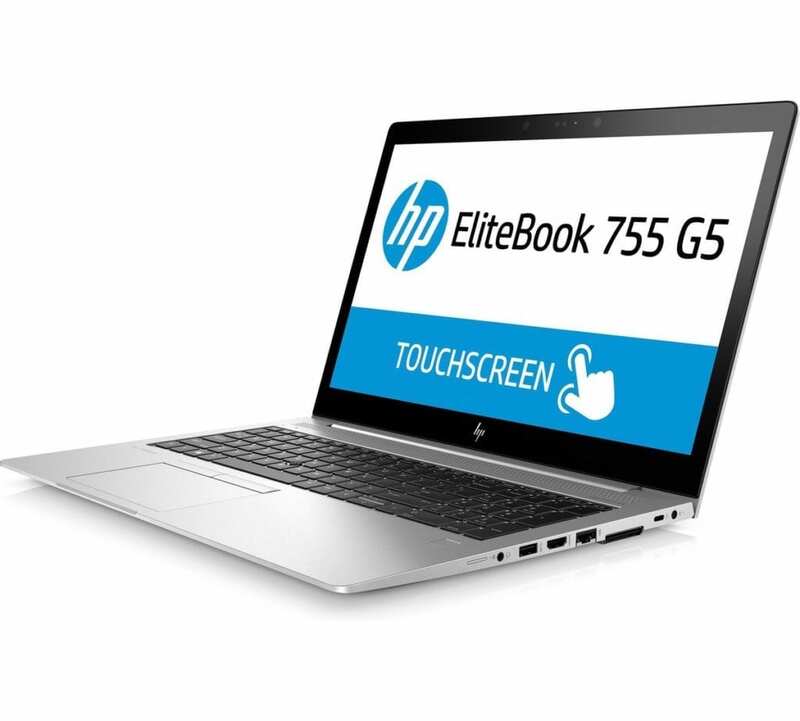 The base model of the HP Elitebook 755 G5 comes with a non-touch display while a higher, and more expensive model with touchscreen display is also available. Both models sport the same FHD resolution. The display is held firmly by the notch-like hinge on the bottom chassis which allows the screen be moved back to about 145 degrees. Brightness is decent; reading angles and outdoor usage won’t be a problem. Under the hood of this business laptop is AMD’s Ryzen 7-2700U CPU. This processor comes with four cores which runs at a clock speed of 2.2GHz. In Max Boost mode, the CPU can clock up to 3.8GHz. This processor is used alongside Radeon RX Vega 10 GPU (also by AMG), 8GB RAM, and either 128GB of SSD storage. The laptop’s memory can be configured to be as high as 32GB while SSD can be cranked up to 512GB. To give users more options to choose from, the Elitebook 755 G5 is also available in Ryzen 5-2500U or Ryzen 3-2300U CPU options. Irrespective of the model and storage configuration you choose, the HP Elitebook 755 G5 runs the Windows 10 operating system out-of-the-box. If you are on the lookout for a powerful multitasking machine to cater for yiyo everyday need without slowing down, the Elitebook 755 G5 might just be what you need. 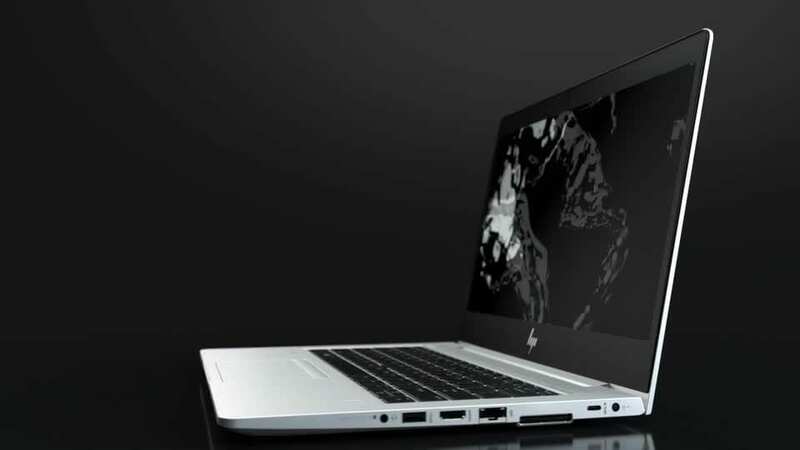 HP states that the Elitebook 755 G5 comes with a 56Wh Lithium-ion battery that can supply up to 11.5 hours of usage. You should, however, expect about (depending on usage intensity) 7-9 hours from the battery. In this department, a lot of factors come into play to determine the price of this Elitebook. Price varies in accordance to how you choose to configure the display (touchscreen or non-touch), RAM, internal storage etc. That said, the base model with 15.6-inch non-touch display starts at about $950. Price could go as high as $1,700 depending on how you choose to configure the laptop. 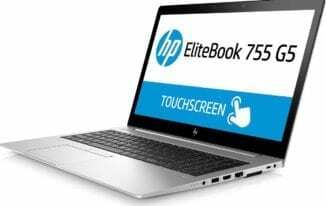 The post HP Elitebook 755 G5 Specs and Price appeared first on Nigeria Technology Guide. 0 Response to "HP Elitebook 755 G5 Specs and Price"